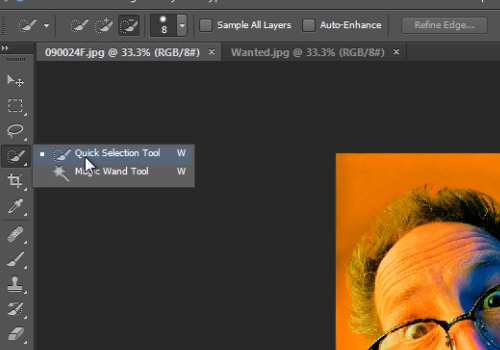 In this video tutorial we will show you how to make a wanted poster photoshop. Launch the Adobe Photoshop. Go to the “File” menu, press “Open” and choose the photos you want to use. Then select the “Quick Selection Tool” from the toolbar and accurately select the face on the photo with the help of “Add to selection” and “Subtract from selection” tools from the tool panel. Then, choose the “Move tool” and click on the selected area. Hold the left mouse button and drag and drop the selected head onto the “Wanted” image. 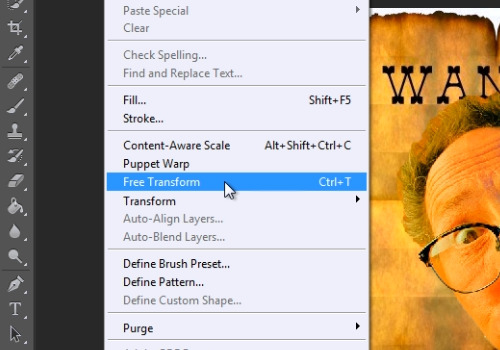 Go to “Edit” menu and choose the “Free Transform” option. Adjust the size and position of the dropped image on the poster. To adjust symmetrically, press “maintain Aspect Ratio” on the “Free transform” toolbar. 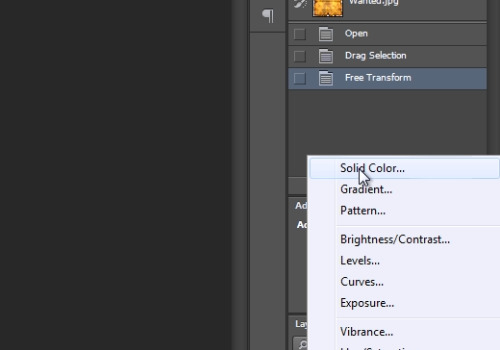 When it’s done, go to press on the “Create new fill or adjustment layer” icon from layers tab and from the popup menu select the “Solid color” option. Set the color close to a real color of the poster and press “Ok”. 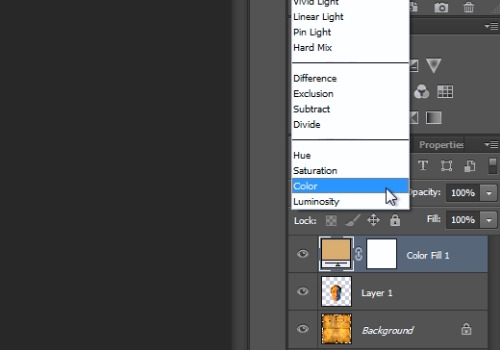 Then click on the “Blend mode” menu and from the drop down menu choose “Color” option. Now your wanted poster is ready.